Would you consider this photo to be one of those awkward family photos? 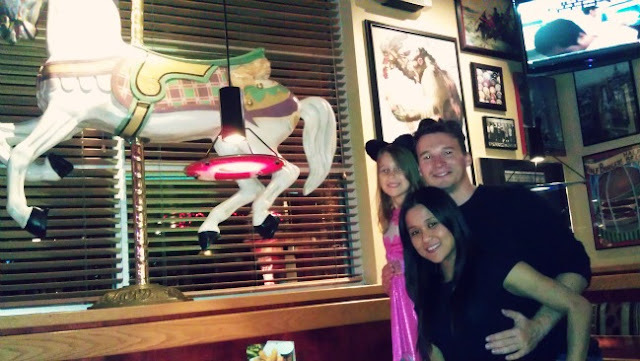 Because Baby Girl looooves merry go rounds, she wanted to take a picture right next to a merry go round horse (yes, it's just one of the many random decorations inside a Red Robin restaurant) and so we had the friendly restaurant manager snap a picture of all three of us. I'm not sure why I am posing like that - - or why I kinda look like my head is coming out of my boyfriend's shirt...I'm just happy we got a picture all together from Halloween night (minus the Batgirl, Catwoman, and Batman masks). We went as a Batman-themed family! What did you dress up as? Did you go trick or treating? We most certainly did and then ate some amazing burgers from Red Robin. Have you ever tried a burger with grilled pineapple in it? To die for. I adore her white pants with black heels! As far as the rest of the collection, do you think fashion-forward or outrageous? A fun DIY project for the CUTEST mugs. My dream homes 1 and 2. A healthy muffin mix recipe that looks delectable! Remember when you used to say things like, "When I grow up..." - - A great article about being an adult. A calm, beautiful, and elegant moodboard. My latest blog theme Giveaway. Ends Sunday! Isn't that family photo super awkward? Why does he have his shirt off?!? Oh Cathy you're so right about time flying by fast. No wonder we should live every moment to the fullest without worries. Your articles always make me think, smile or laugh. Keep writing. I will surely go through all the links you've you've provided here. P.S. : I can't wait for you to declare the winner of your blog theme giveaway :) !!! Awww - such kind words Savvy. I'm soo happy that you enjoy my words here on this blog. Sometimes, I get self conscious and wonder if my words are worth writing, you know? I think that's normal as bloggers, to be a little bit too critical on oneself haha! Anyway, I can't wait too!! Hope life is well! LOl those are funny I saw some on pinterst and they were so creepy. Yours is not bad at all though. Hahahaha double dog dare!! I haven't heard that in years!!! 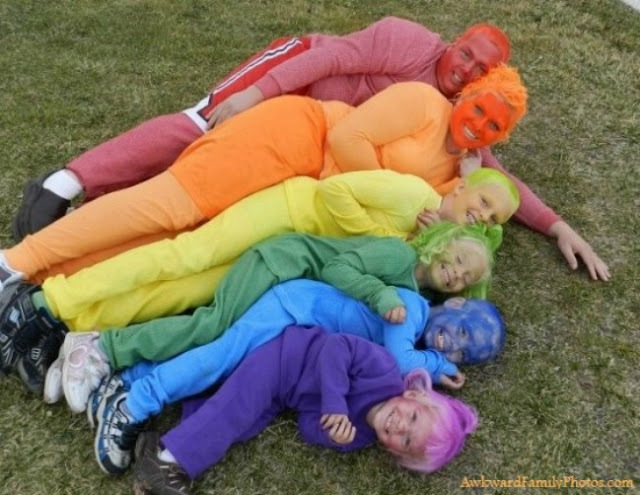 I like your family photo because you guys just look so happy to be there, which is the part that matters I think!